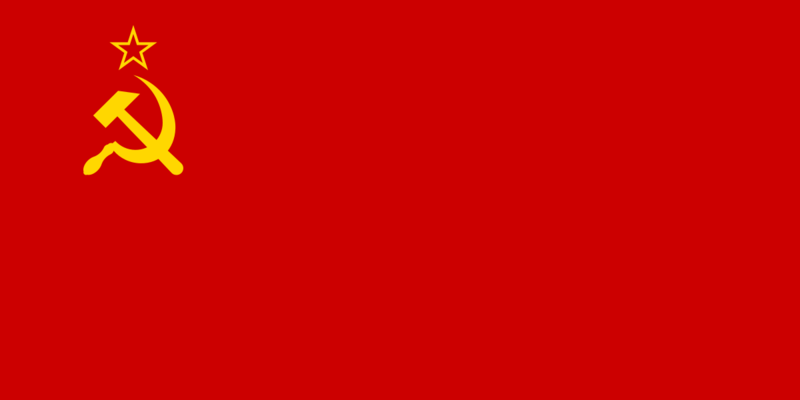 "Flag of the Soviet Union" by see below - http://pravo.levonevsky.org/. Licensed under Public Domain via Wikimedia Commons. Communism used to be number one thing that concerned the American people. In fact, as far back as the 1870’s, Red Scares were beginning to become common-place, as the battle between capital and labor became an every day occurrence. Income inequality is bad now. It was much worse during the Gilded Age, as economic depression limited money supply and huge immigration greatly expanded the labor supply. Management didn’t care much for organized labor unions, and violent clashes ensued. These battles periodically arose, some were quite ugly with many deaths and injuries, usually when the economy tanked. The threat of revolution was real, especially in the late 1800’s, after the First World War, and during the Great Depression. Our political system helped to avert the catastrophe that befell the Soviet Union, Nazi Germany, China, Viet Nam, North Korea and Cuba. It wasn’t always a sure thing. Communists, sometimes inspired by Russian agents, sometimes home-grown, infiltrated high government offices, Hollywood, the Media, and academia. Most people have never read “Witness” by Whittaker Chambers, or remember how Richard Nixon got a political boost by exposing communists in a pumpkin patch of all places. It all seems so surreal now, so trivial, so ancient history. After all, we won the Cold War, and communism is dead, isn’t it? The threat has receded, the arguments have been won and we can all move on now. But then reality slaps us in the face. And the reality is that communism isn’t dead. And Communists still have the capability to show us how inherently corrupt they are. North Korea is a communist regime. And like most communist regimes, it can not survive with free expression, free speech or freedom of any kind. And when Hollywood, which used to have more than its fair share of communists (and probably still does, to be honest with you), tries to release a movie that mocks the Communist Dictator, it learns a valuable lesson. The terrorist attack on Hollywood (and it is a terrorist attack, almost as serious as the 9/11 attack as a threat to our freedoms) reminds us that in some countries you can’t joke about anything, especially about the folks running the country. North Korea’s attack on American free speech is a stark reminder about the realities of communism. Cuba is another case in point. Fidel Castro, like his buddy Che Guevarra, has become mythic, almost a nostalgic figure on college campuses. People forget how brutal these two were in their hey day, how repressive their regime has been for decades, how they slaughtered thousands of innocent civilians, how they tortured political prisoners, how controlled every aspect of their society. You can see Che tee-shirts, and posters, and pictures, all over the place in middle America, as if he were some romantic hero. He was a sociopath, and a bad dude. So is Fidel Castro. There is no getting around that fact. And this announcement by President Obama doesn’t change his history or his philosophy. This was no Nixon goes to China moment. Barack Obama, when it comes to communism, is no Nixon. And Cuba is not nearly as economically or geopolitically significant as China. We didn’t have to do this right now. We could have waited for Castro to die and then establish relations with whoever came after. By and large, I am against economic sanctions, in almost all cases. I don’t think they work to avoid war. I didn’t like them in South Africa, I don’t like them with Iran and I don’t like them with Cuba. I don’t like them because I think it hurts the poor schmucks who are just trying to get by every day, and when you limit the freedom of commerce, you strengthen the power of the regimes. That being said, I can understand the passion of Marco Rubio when he expresses his contempt for President Obama’s actions. He knows the face of communism. His family has experienced it first hand. And his hatred for the Castro regime is both totally legitimate and completely logical. I suppose the best thing about the President’s decision is that a whole new generation of Americans can relearn the horrors of communism. They can take a trip tomorrow to Havana, get followed around by the secret police, see the economic destruction that comes from communist economy and otherwise see the face of repression. Communism might be on the ash heap of history in the rest of the world, but it is alive and well in the North Korea and Cuba.